Color: Maroon Gold Label Decoration -Super Nice!!! This pretty teapot has great gold. 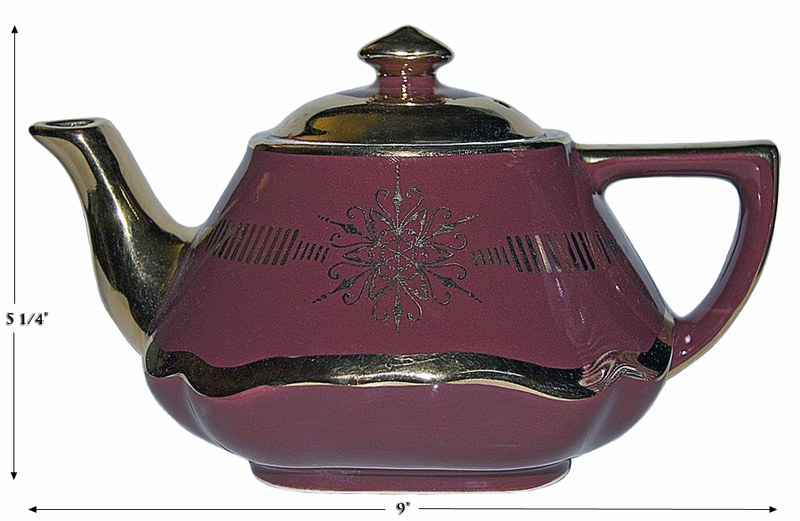 Mark/ Labels: The teapot backstamp is shown in the photo picturing the teapot bottom. 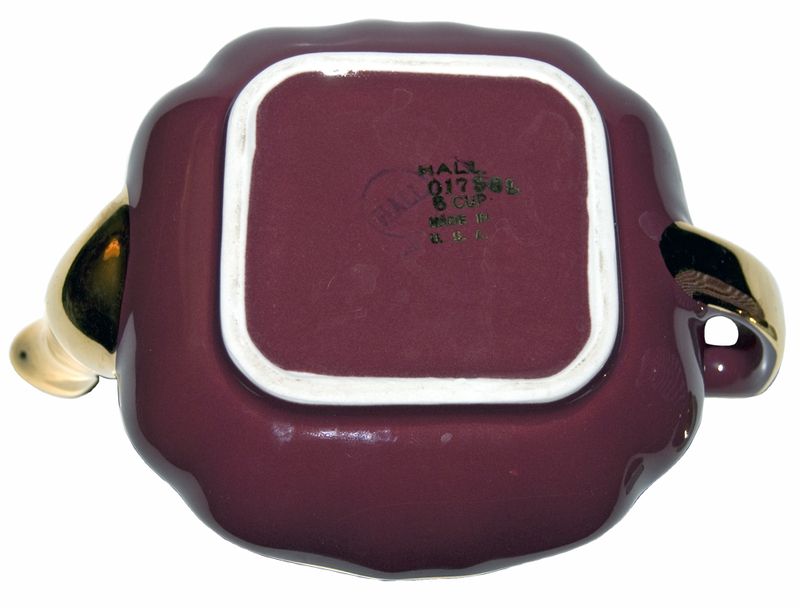 Measurement: 5 1/4" H. - 9 " L.
Condition: We are offering for sale a beautiful Hall China Maroon Gold Label Baltimore shape teapot. 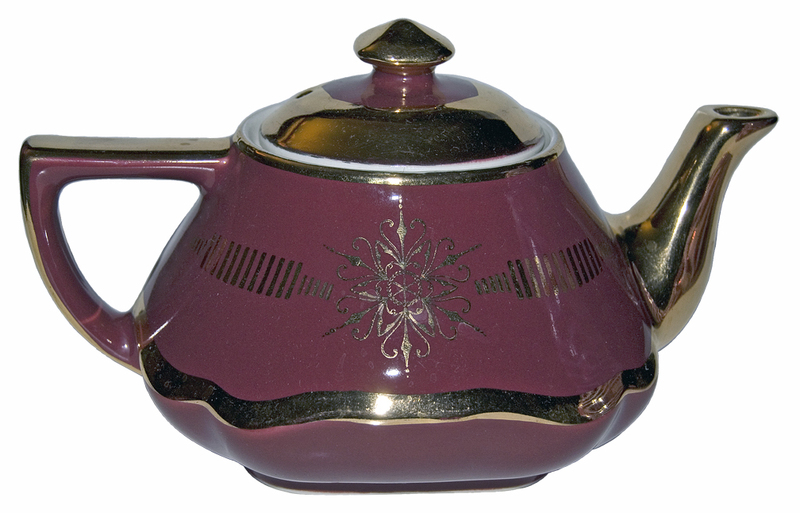 This awesome teapot is in Undamaged Condition without chips, cracks, or mold damage. The glazing is wonderful. The gold is awesome. There are reflected areas in the photo --- they are not seen when simply viewing the teapot. These pots usually have considerable gold wear. A super nice find for a Hall collection.